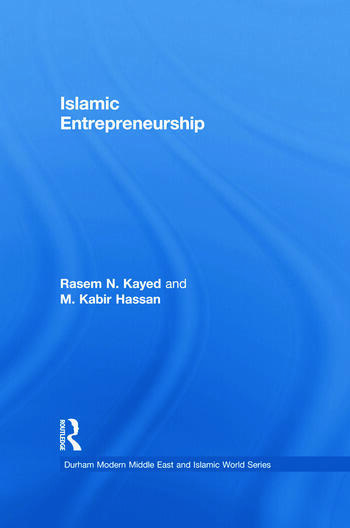 This book discusses the idea that there is a specific Islamic form of entrepreneurship. Based on extensive original research amongst small and medium sized enterprises in Saudi Arabia, it shows how businesses are started and how they grow in the context of an Islamic economy and society. It argues that as specific Islamic approaches to a wide range of economic activities are being formulated and implemented, there is indeed a particular Islamic approach to entrepreneurship. Rasem N. Kayed is an Assistant Professor at the Arab American University, Palestine. He has over 20 years experience both in the commercial and the academic world in the USA, New Zealand, Saudi Arabia and Palestine. M. Kabir Hassan is a Professor at the University of New Orleans, USA. He is editor of the Journal of Islamic Economics, Banking and Finance, and his publications include (as co-editor) Handbook of Islamic Banking and Islamic Finance, and Islamic Capital Market: Products and Strategies.